Chocolate dipped Milka cookie. Moo. 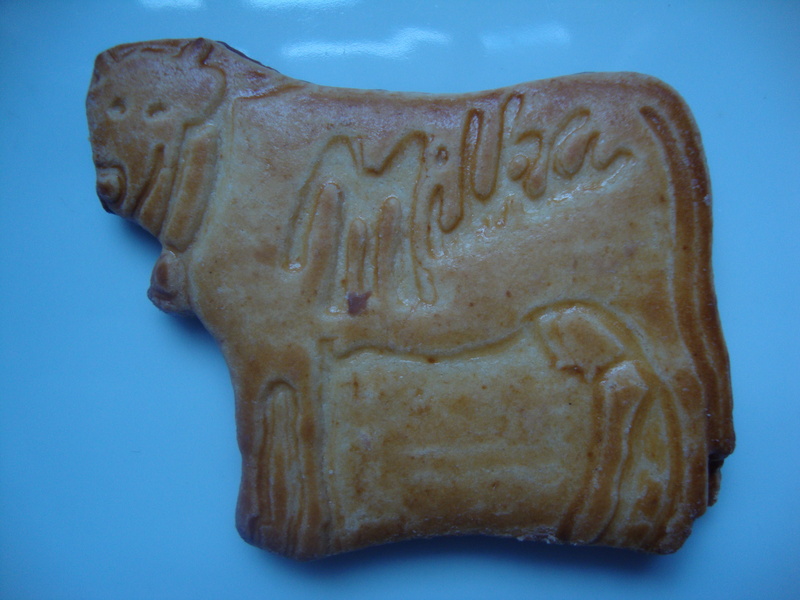 The chocolate is cheerfully represented by a lilac colored Montbéliard cow, the Milka Cow. 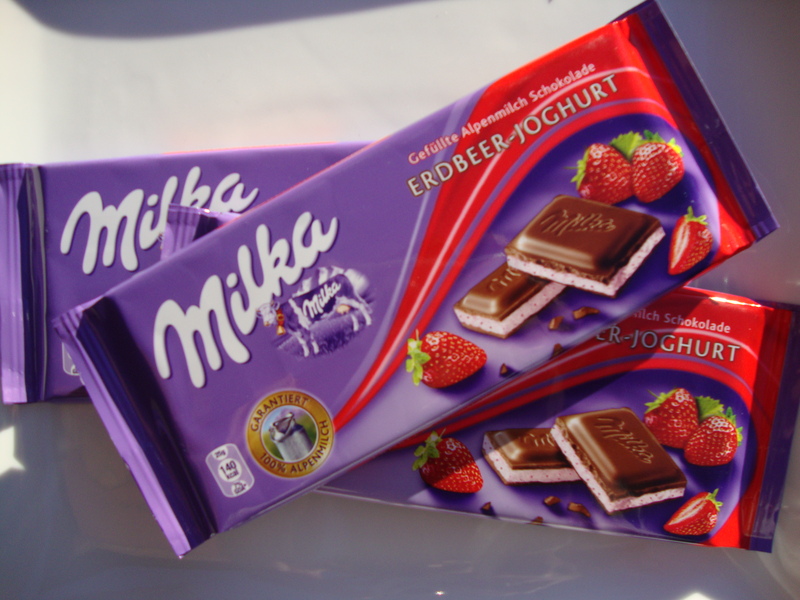 Milka is a derivation of the German words milch and kakao ( milk and cocoa). The light, airy qualities of this chocolate come from the large proportion of cream and butterfat. In addition to the chocolate bars that make Milka a billion dollar brand in Europe, Milka creates crispy Alpine dipped chocolate cow cookies, aptly named ChocoMoo, as well as chocolate covered biscuits and other sweet treats that vary by country, like chocolate hazelnut wafers (Nussini) and a comparable Digestives biscuit, Milka Choco & Grains, with wholemeal oat flakes. Unfortunately, Milka is not the easiest candy to come by in the United States. Wegmans sells a small selection of the chocolate, but most of the time, an online purchase is the only convenient option. 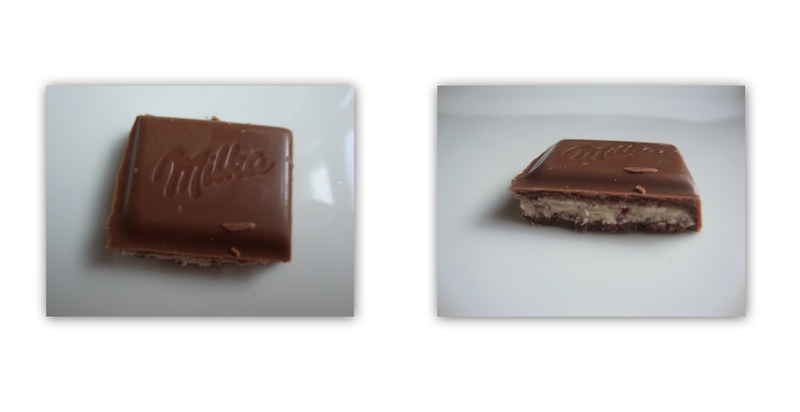 So while the Valrhona, Hershey and Nestlé may be chocolate royalty state side, you’d never go back to a dry old peanut butter cup after a single square of Milka.